The survey looked at many different areas of the business, asking customers about their general experiences, quality of service, products, prices and delivery times. Overall, customers responded with overall ratings of “very satisfied” or “satisfied” for all of the general questions asked. The questions and results can be seen below. As a thank you for participating in the survey, Flintec raffled an iPad Air 2. 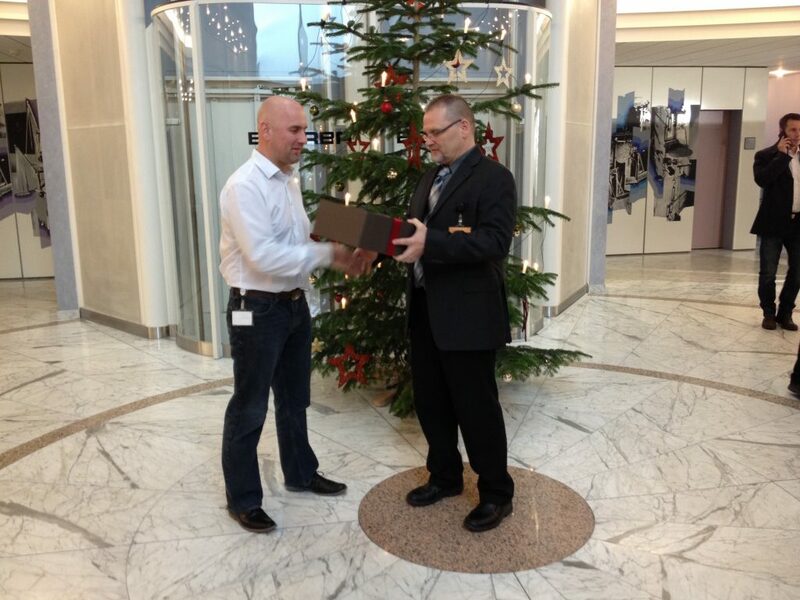 The lucky winner was Flintec customer Mr Andreas Rausch. MD of Flintec Germany Dr Jens Achenbach, photographed presenting the raffle prize below, comments “Flintec take pride in delivering a high quality product and service to our customers. I am very proud of my team here in Germany as this survey highlights that we delivered on our objectives in 2015. I would like to thank everyone for all of their hard work in 2015”. 2. What is your experience with Flintec delivery times? 3. How would you rate the support given by our engineers and support staff? 4. How satisfied are you with the capabilities of our team? 5. How would you rate the availability of our team? 6. How satisfied are you with the cost of Flintec products?